A syndicated posting on The Daily Beast wants us to believe just 2% of all terrorist attacks in Europe are Islamist in nature. A major Dutch liberal politician who tweeted the same faulty figures was lampooned for days for posting the obvious propaganda. 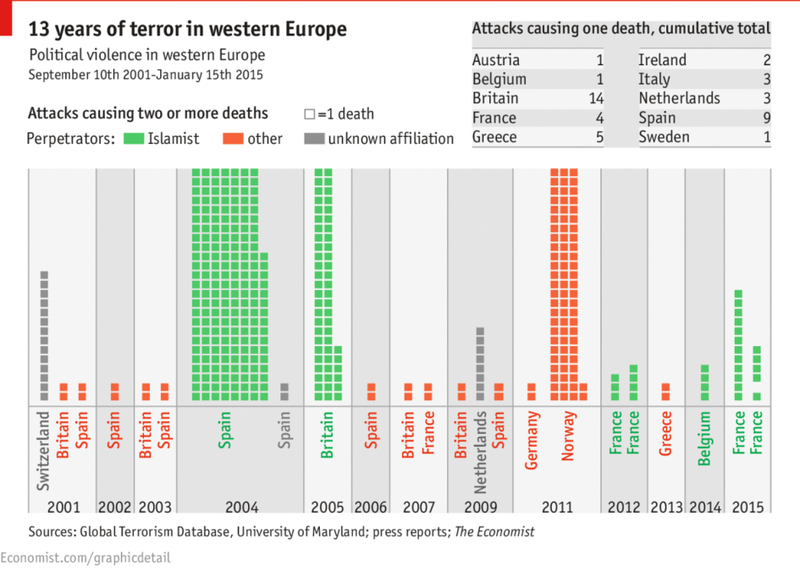 Counterfire false graphic on terror attacks in Europe. Dean Obeidallah (source) is a former lawyer turned political comedian (no, seriously!). In a posting entitled "Are All Terrorists Muslims? It’s Not Even Close" on The Daily Beast he is presenting us with figures that are so obviously cooked, only the low information crowd will believe them. 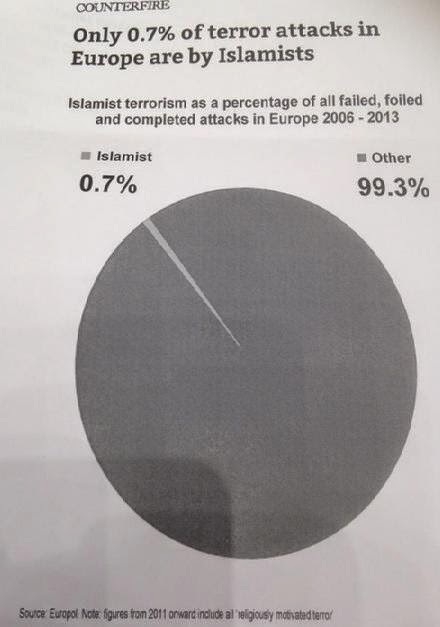 According to Obeidallah just 2% of all terrorist attacks in Europe are motivated by Islamism. The figure is made up by a revolutionary activist group in the UK, called Counterfire. The aim speaks for itself. Terrorism must be separated from Islam at all cost. Who denies the claim, is smeared with racist and fascist hate slurs. The calculation is simple: of 23 fatal terror attacks, 7 have been committed by Islamists. That's 30%. More important is the severity of the attacks. According to this graphic in The Economist as of 2001 401 fatalities occurred; Islamists were responsible for 275 deaths. That is 68,5%. 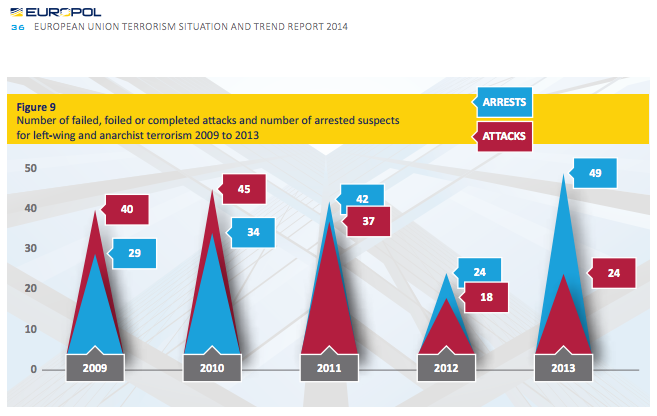 The Marxist liars at Counterfire claim their cooked up figures come from a Europol report. Europol, the European police organization, has no idea where Counterfire's claims are coming from. Let's have a look at Leftist extremist violence.